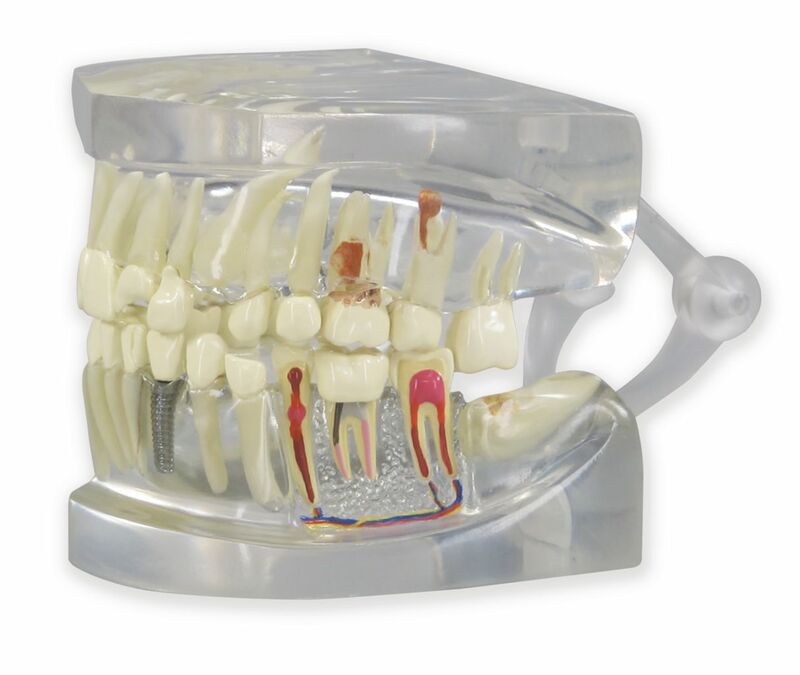 This full-size, hinged clear cast jaw allows for viewing of roots. 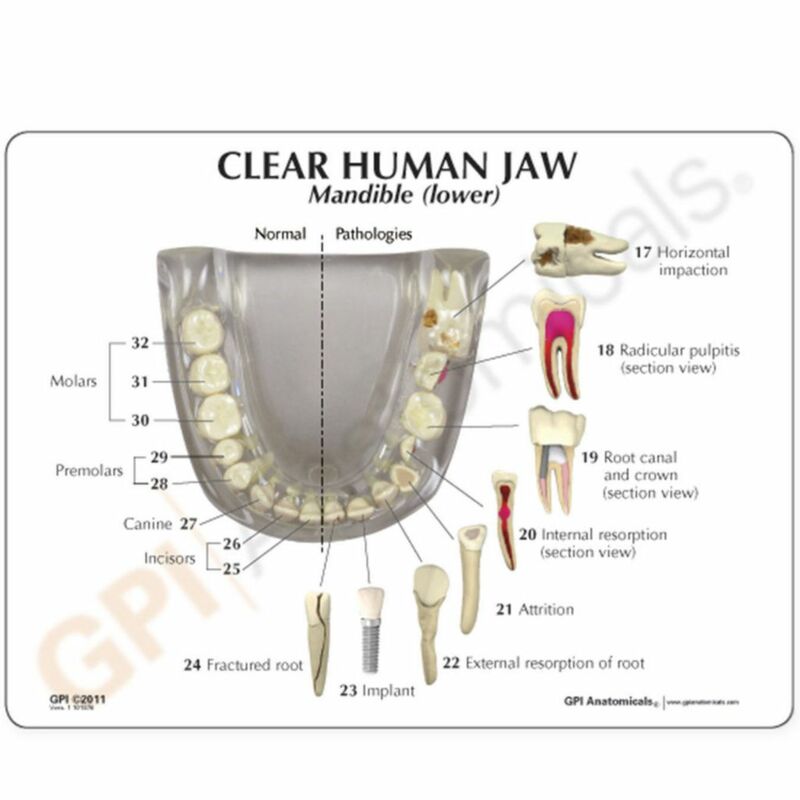 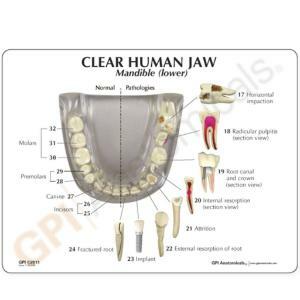 It contains a healthy side showing normal dentition and occlusion. 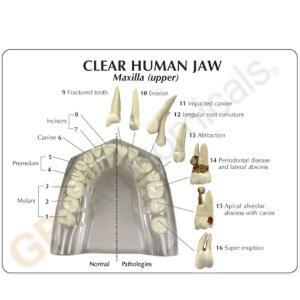 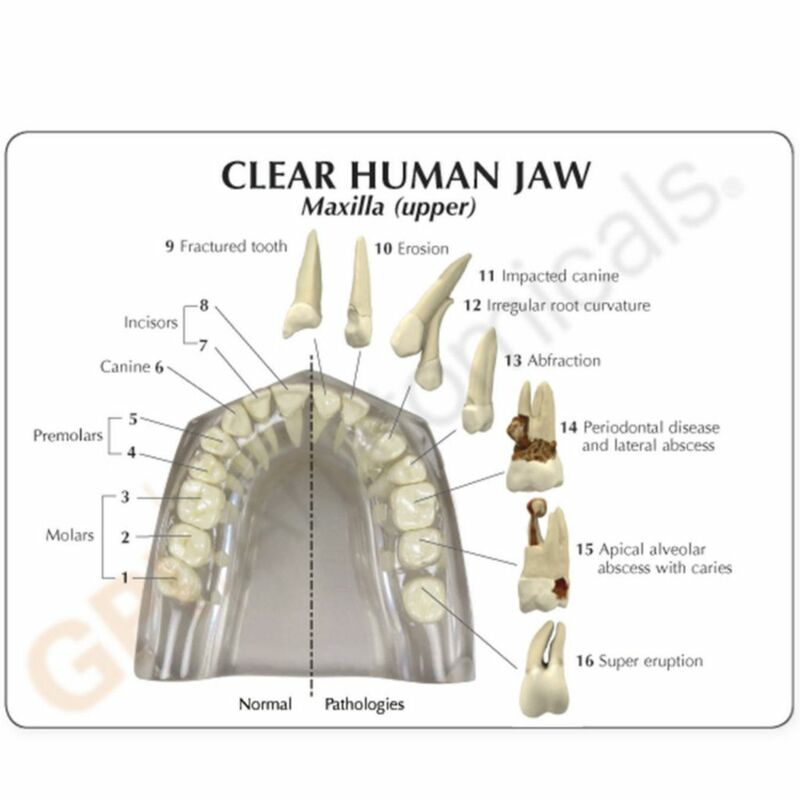 The model’s affected side demonstrates multiple pathologies such as abscesses, fractures, root damage and more.